Acrylics on canvas ~ 68cm.x 50cm. The work of Italian artist, Amedeo Modigliani (1884-1920) has inspired and influenced me for many years. In 1917, Modigliani met Jeanne Hébutergne and she became his lifetime companion, lover, mother of his daughter Jeanne and model. In December of that year, his first solo exhibition in Paris was closed down by the authorities because of “the scandalous nature of the nudes”. 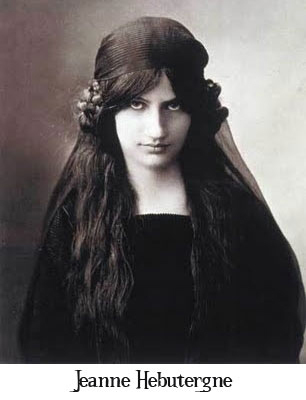 When Jeanne was pregnant with their second child in 1920, Amedeo died in Paris, aged just 36. On the following day, she took her own life. This painting is based on a Modigliani sketch of Jeanne Hébutergne which the artist never painted.